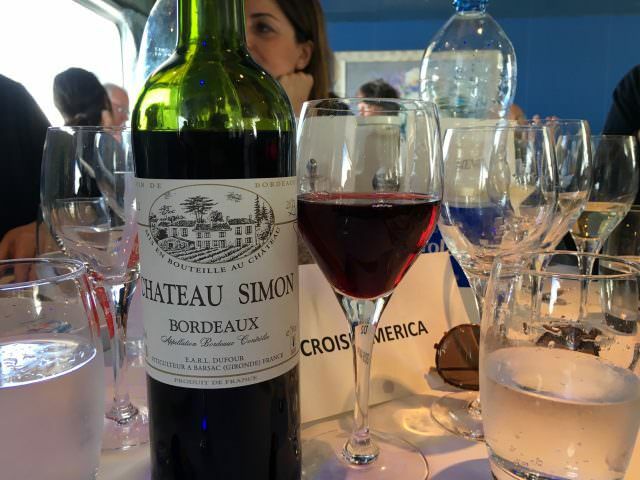 Perhaps the most surprising thing that I learned about CroisiEurope on last week’s trip to Bordeaux was the price of its cruises. I’d known that CroisiEurope was the price-leader in Europe, but what I did not know was that it undercuts its competitors by almost 50 percent. 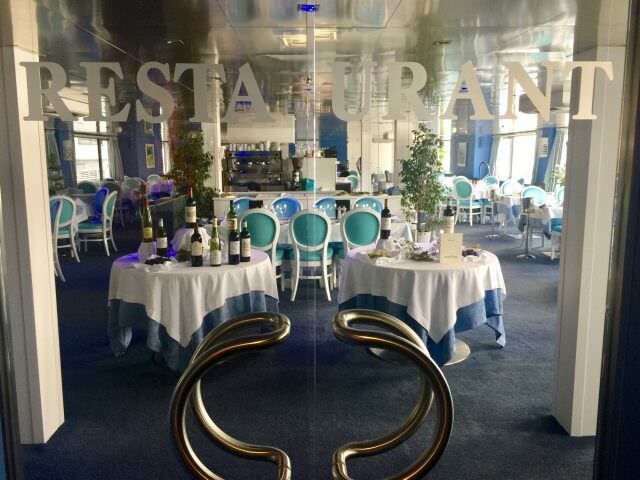 With all-inclusive bar (not just wine and beer during lunch and dinner), complimentary shore excursions and free WiFi, CroisiEurope’s Bordeaux cruises begin at less than $250 per person per day compared to per diems of $450 and up on the other players operating in Bordeaux. 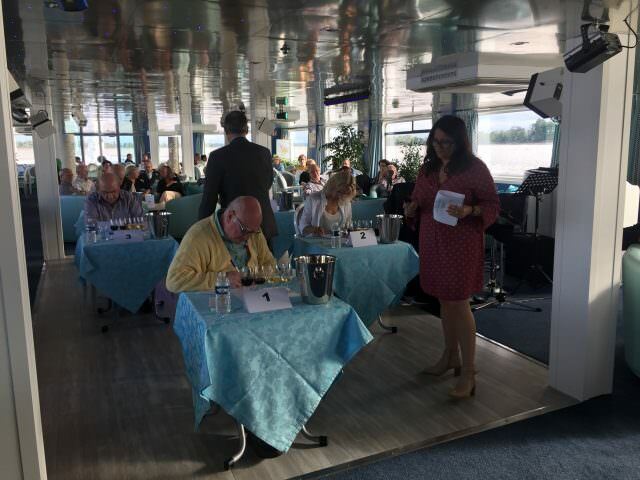 Those other players include AmaWaterways (AmaDolce), Scenic (Diamond), Uniworld (River Royale) and Viking (Forseti). 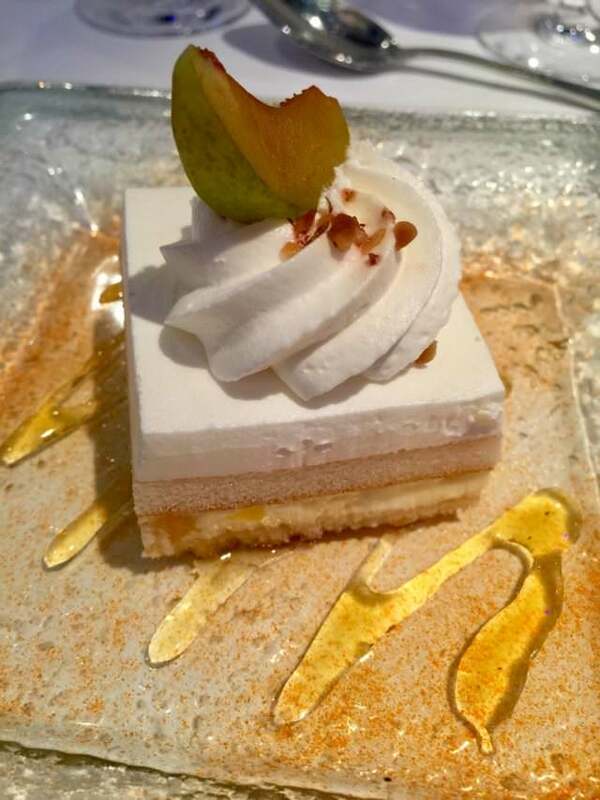 I’m not saying that CroisiEurope’s cruises are for everyone, and I’ll elaborate on that in a post next week, but for those on a budget, CroisiEurope certainly is worth a look. 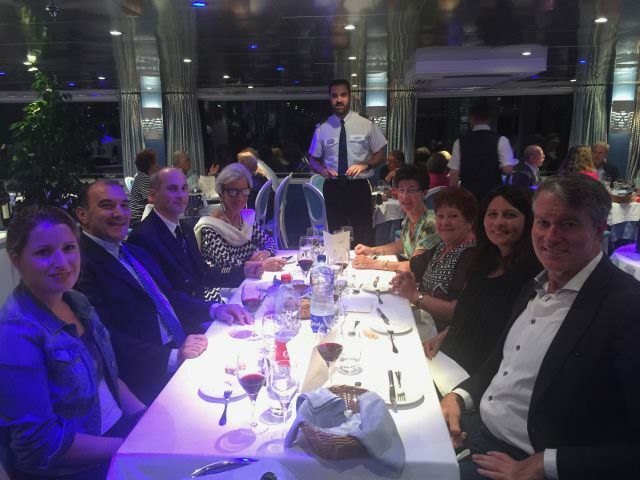 Virtually unknown in North America, CroisiEurope is French, family-owned and operated — and the company has a lot of ships, 50 or more at last count. 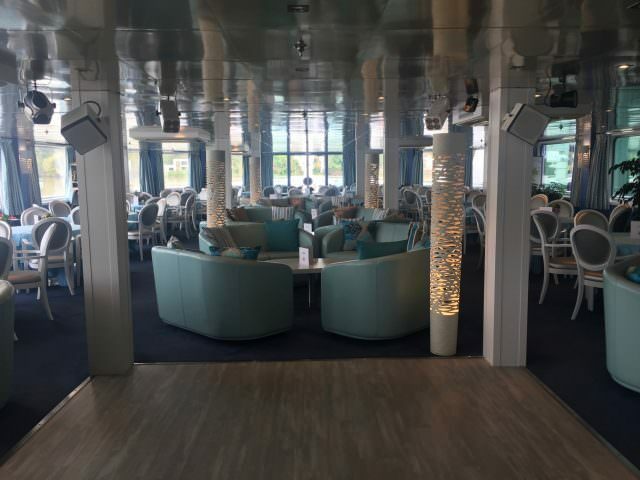 CroisiEurope’s all-inclusive ships impresses us with their French flair, and the company scores points for its innovative hardware and pioneering itineraries. 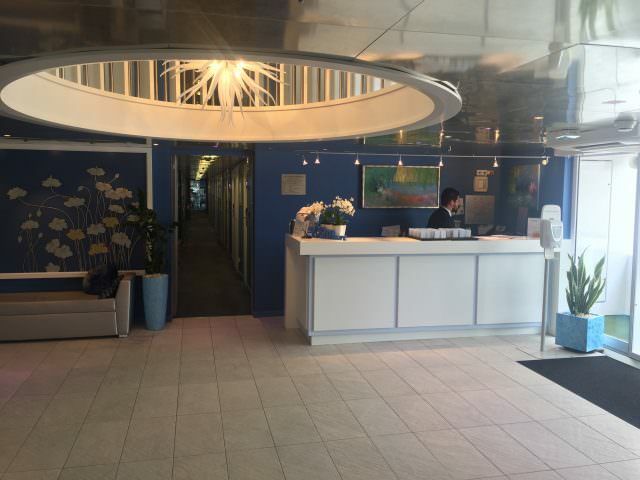 CroisiEurope is the only river cruise company, for example, that can cruise the Loire or the Elbe into the heart of Prague as well as many other rivers. I’ll cover some of the company’s pioneering itineraries in next week’s post. But, you’re asking, how are the staterooms and food? A picture speaks 1,000 words. 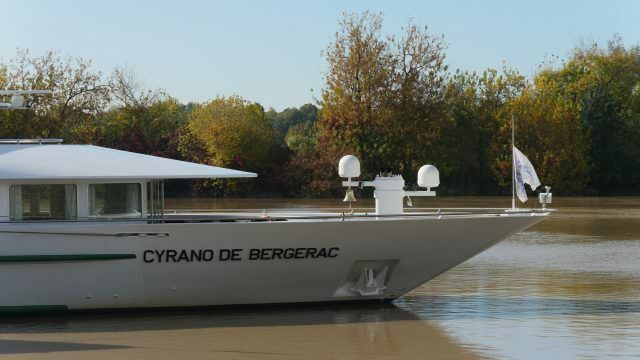 CroisiEurope operates two ships in Bordeaux, Cyrano de Bergerac and Princesse d’Aquitaine, on 5-, 6-, 7- and 8-day cruises. 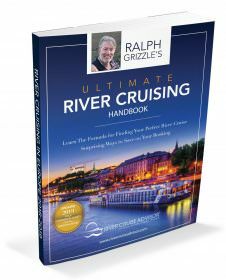 The range of itineraries make for an interesting variety of cruises, depending on how much, or how little, time you want to spend cruising in Bordeaux. 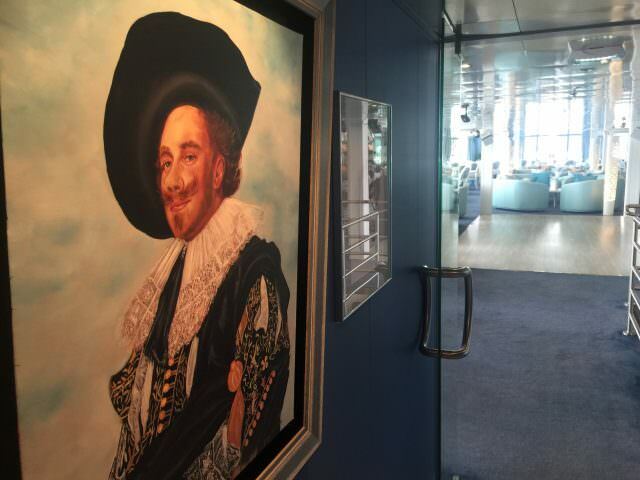 Our four-night/five-day sampler cruise provided only a taste of Bordeaux — and of Cyrano de Bergerac. The duration is too short of a cruise for a trip across the Atlantic unless it is coupled with an extended stay in France. In fact, this would be a good cruise to pair with overnights. My recommendation? Book a night or two at the Intercontinental Bordeaux – Le Grand Hôtel, a five-star hotel in the heart of Bordeaux, and also a night or two (post-cruise) at Les Sources De Caudalie, a five-star hotel surrounded by the vineyards of Château Smith Haut Lafitte, about 8 miles from Bordeaux. The hotel also features a spa with treatments and therapies using products from grapes and grape seeds. 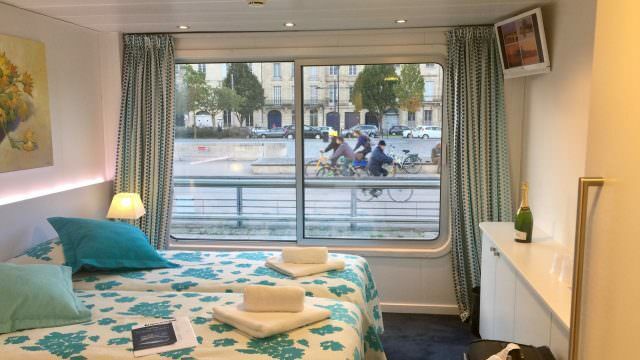 Bordeaux is a beautiful cruising region and unusual for European river cruises in several ways. First, the city of Bordeaux serves as a hub, with the destinations spoked out along (also unusual) three waterways, the Dordogne and Garonne rivers, and the Gironde estuary. Second, tidal fluctuations impose strict timetables on ships, and the region is subject to an unusual natural phenomenon, the Mascaret, a strong tidal “bore” that causes waves sometimes large enough for surfing. On Wednesday of this week, Cyrano de Bergerac’s captain told us to be out on deck at 7:45 a.m. if we wanted to experience the Mascaret. 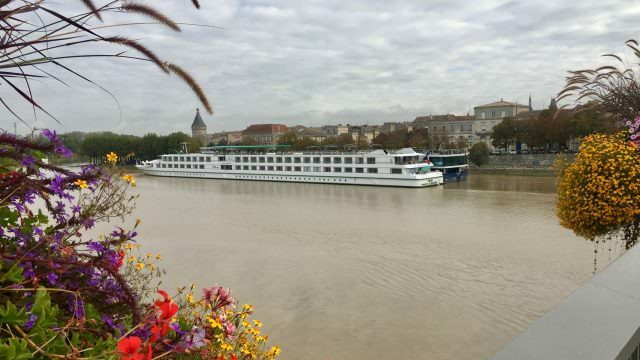 Our ship, which was docked in Libourne, repositioned to the middle of the river for safety reasons. I watched from the oversized sliding glass window in my stateroom. Suddenly I felt a gust of wind, followed by rushing water and white caps that caused the boat to gently rock. 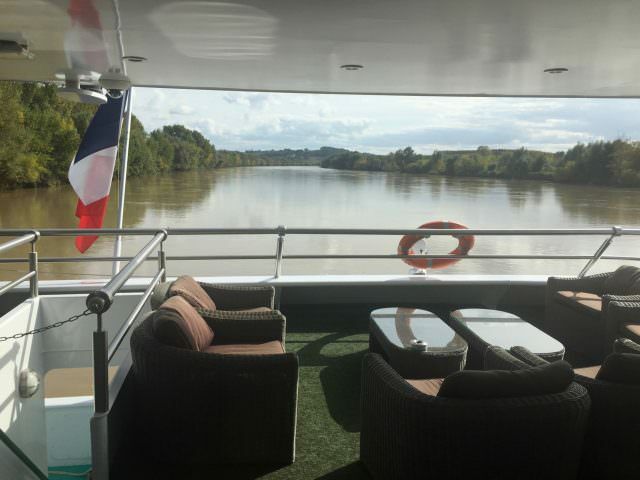 River cruises begin in the city of Bordeaux, where ships dock along the waterfront, typically overnighting, and depart the following morning to visit a handful of ports of call during the next several days. 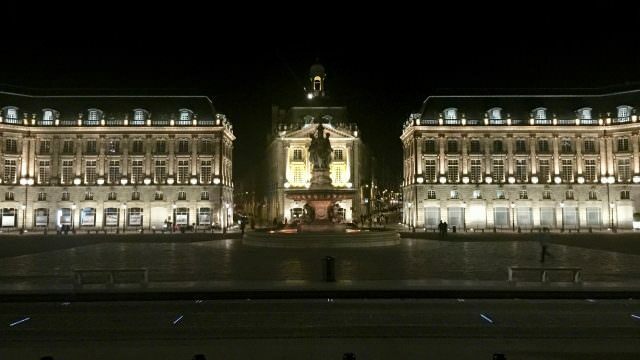 After dinner, we enjoyed a night tour of Bordeaux via motorcoach and walking. We were off to a good start. 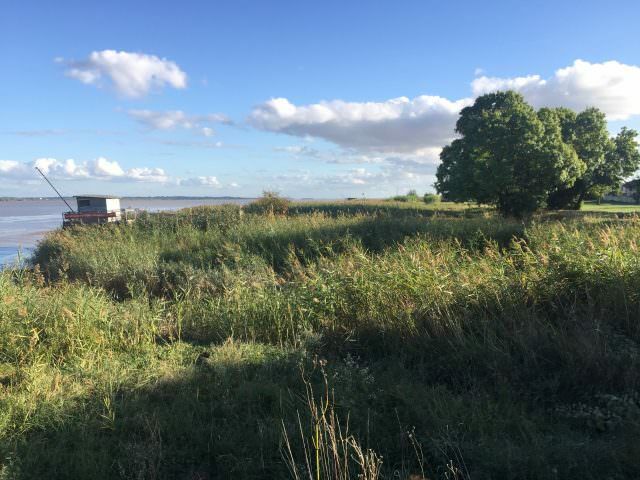 The next morning, Cyrano de Bergerac set a course north of Bordeaux, to Pauillac, in the heart of the famous Medoc region, which is renowned for producing some of the world’s finest Bordeaux wines. 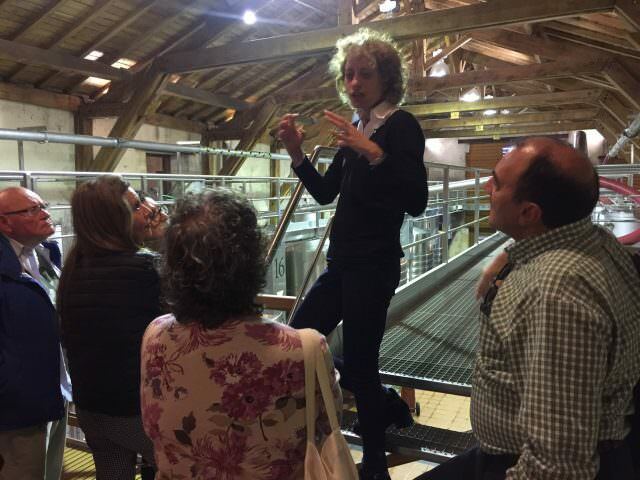 The highlight of our day was an included tour through the Medoc region, past beautiful chateaux, stopping for photographs, and visiting a few of the vineyards for wine-tastings. 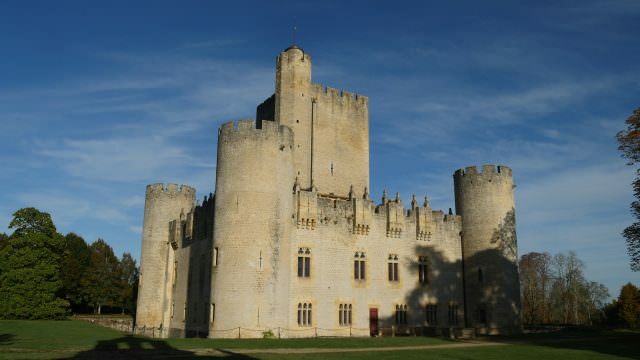 Late that evening we docked in Libourne, where the next morning we set out for Saint-Émilion, just a few miles away. 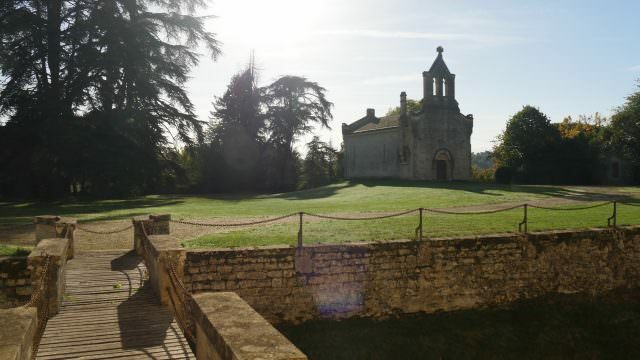 Our tour included a visit to the Monolithic church, carved into limestone cliffs and mostly underground, and a wine tasting at one of the Saint-Émilion vineyards. 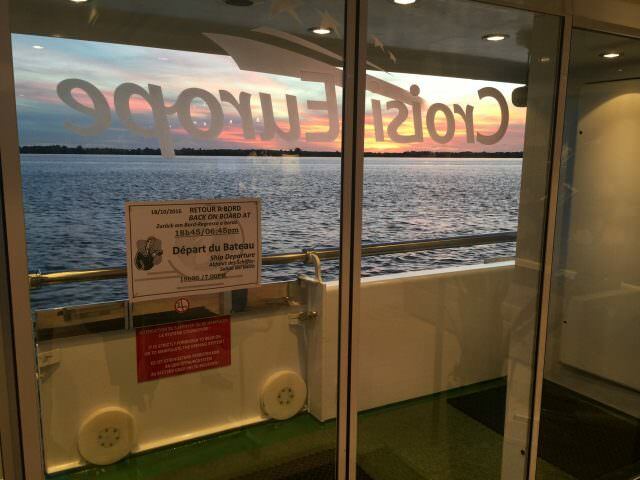 After a late afternoon of scenic sailing, we made it back to Bordeaux for the evening. The next morning we cruised to Cadillac to visit the impressive Roquetaillade Castle, set on a stunning hilltop about 30 minutes away by motorcoach. The castle excursion included guided tours around the grounds and inside the castle. 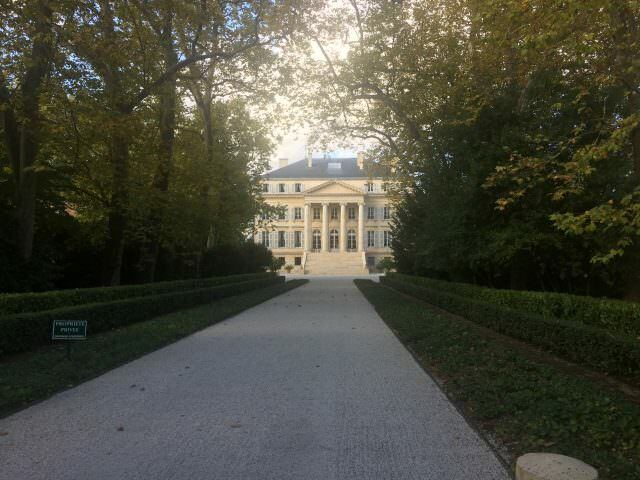 After lunch back on the ship, we visited a vineyard producing Sauternes for tastings of the renowned sweet wine. 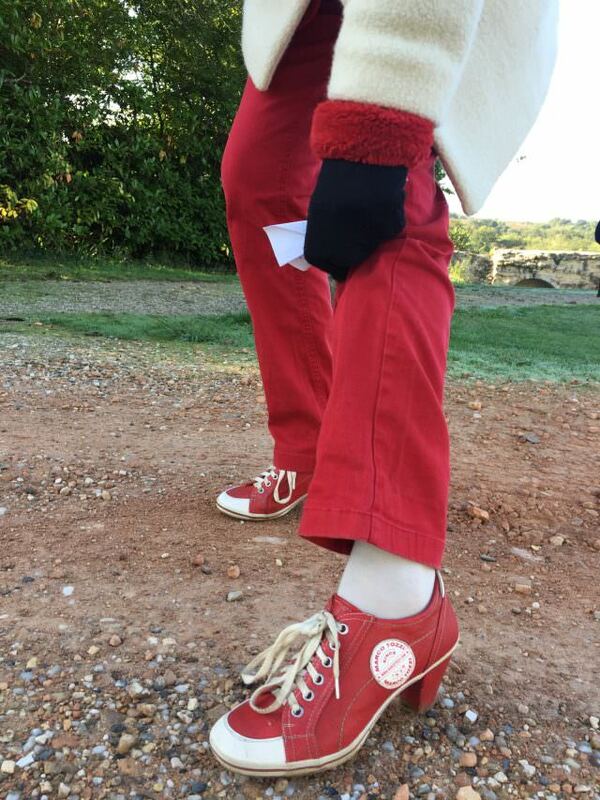 As we were sipping Sauternes, the ship returned to Bordeaux to overnight again before disembarkation. 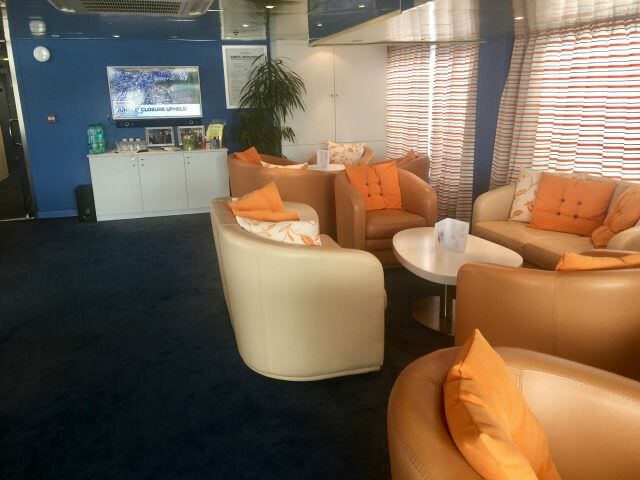 CroisiEurope’s program is comparable to what its competitors offer in the region. Again, this cruise is not for everyone, which I will cover in next week’s post, but others will find it to be just the right fit. 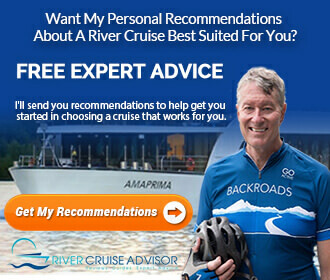 Would I cruise CroisiEurope again? Most certainly. I found the stateroom to be adequate. It was not luxurious but it was attractive, with lots of storage and a comfortable bed. I found the service to be friendly and professional. Staff comes from all over Europe, so you won’t have to speak French to be understood. The food and wine? 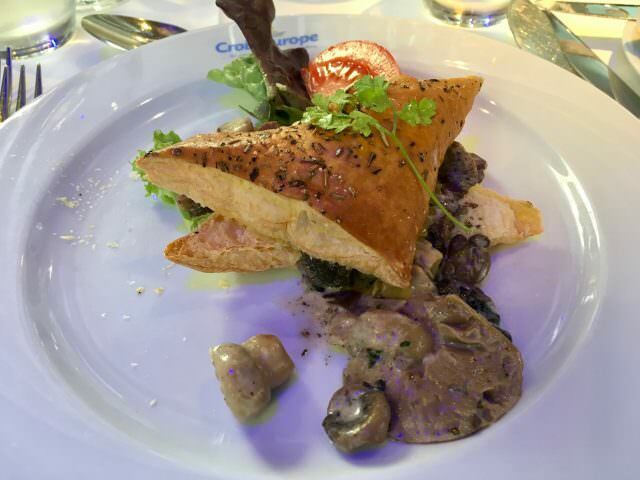 Well, I adore French food and wine, so CroisiEurope gets high marks in that category. 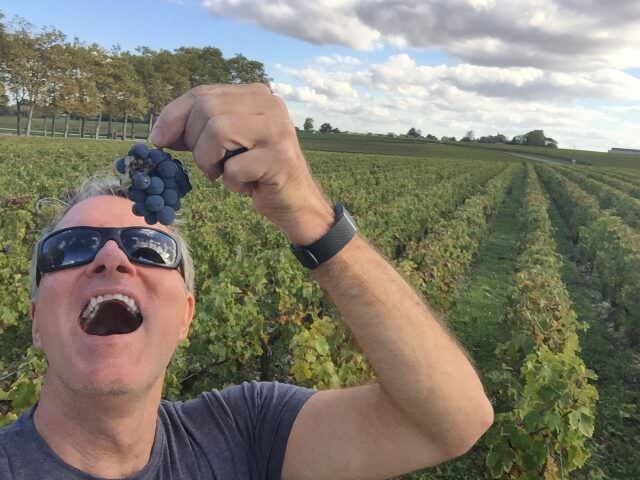 I did miss bikes and hikes and the opportunity to be active, though I did one walk in Pauillac. 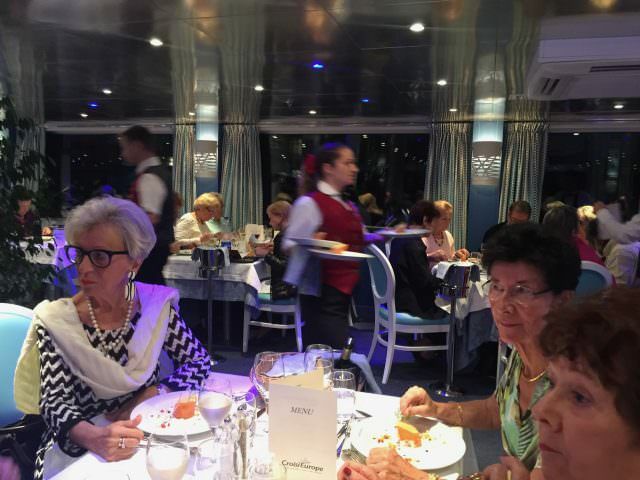 Other than that, WiFi worked well (most times, as on most river cruisers), the complimentary bar was a plus and the excursions were well done with guides that won praise from those in our small group. 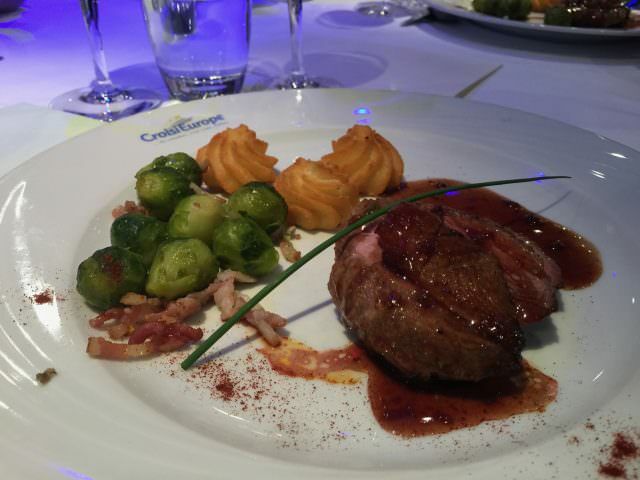 For the price of admission, CroisiEurope is a steal. Cyrano de Bergerac reviews from passengers. Where is part 2? Anxious to hear the rest of the comments and see more pics. This coming Sunday. Thanks for reading! Yes, we r thinking of booking for next fall. Want to read part two of the Cyrano. We did the Danube with Croisi last August. A very positive experience from Linz in Austria all the way down to Tulcea in Romania. Will be interested in the negatives. Have been looking at this line for a while, they are a bargain, but for me the biggest negative would be the cabin size.In your photo, the cabin looks pretty small even with wide angle. Reluctant to give that up, although I’d like to cruise the Elbe on their paddle wheeler. Uniworld doesn’t sail the Elbe because it is shallow, but I hate to give up their wonderful service and enthusiasm. 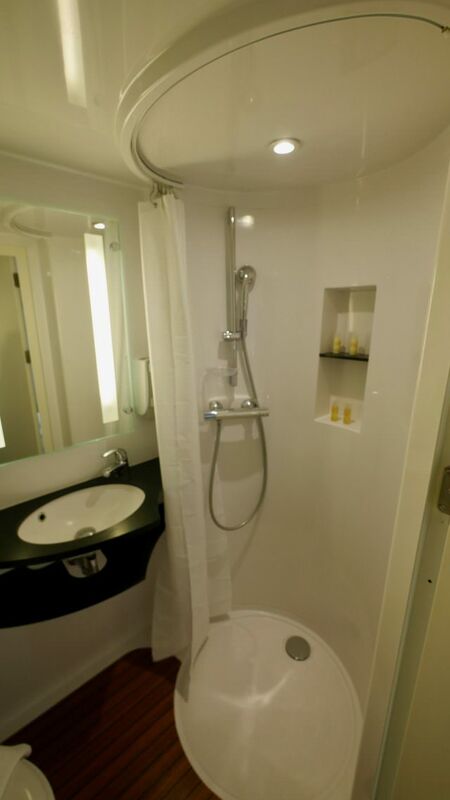 I agree cabins are small but in the 5 cruises I have been on with CroisEurope I have spent very little time in them. If not on an excursion then I would be on the sun deck or in the lounge. One thing your North American market differs from my UK market is that we do not get excursions included although they can be purchased as a package. This year on the Seine I did not purchase the package but did my own thing at each stop. This gave me a fantastic oportunity to explore and stay longer at certain places of interest. Thanks for adding to this discussion David. I agree about the cabins. I had time to shower and sleep. That’s about it!